Do you think your DofE helped you get your current job? The DofE gave me the skills and opportunity to demonstrate who I am and what I can achieve. I put these skills into my day to day work. When the opportunity came for me to move into another part of the business I had lots of skills and experience to offer to the role and join their team. On an average day I will work with a group of people teaching them theory and practical elements of gas engineering, such as soldering copper pipe into different items such as watches, people and names. We create heating systems from scratch including electric wiring and cylinders. As an apprentice I really enjoyed the residential part of my DofE, I met new people my age with the same interests and we spent the week playing games and completing tasks set by our trainers. It was a great team building experience which broke the ice and made the learning experience more fun for everyone. Hiking across the Brecon Beacons and Exmoor with my colleagues, in all weathers and seeing lots of beautiful sites of our country. The people I work with are very nice and always want to help you succeed. Completing my Gas Qualification, achieving my Gold DofE Award and receiving my certificate from HRH Prince Edward the Earl of Wessex at St James’s Palace. 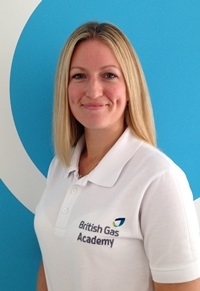 After becoming an LDM I helped others achieve their gas qualifications to become successful in the industry. I represented my company and The Duke of Edinburgh’s Award and attended St James’s Palace as a Marshal also meeting HRH the Duke of Edinburgh.